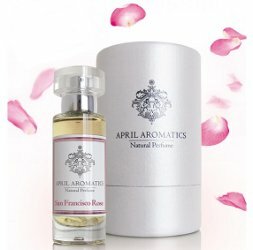 Berlin-based indie natural brand April Aromatics has launched San Francisco Rose, a new limited edition perfume to benefit perfume blogger Tama Blough's cancer care fund. Limited edition Rose perfume for my friend and perfume blogger Tama Blough from San Fransisco. Tama has recently been diagnosed with terminal cancer. To support Tama financially on her journey, April Aromatics has teamed up with perfume blog: Michelyn Camen of Cafleurebon and has created a rose perfume in honor of Tama. Rose is Tama's favorite flower. 100% of the proceeds will go directly into Tama's account to support her with paying medical bills, rental living expenses for her and Buster, her cat. April Aromatics San Francisco Rose is available at the brand's website, in 30 ml Eau de Parfum, €111. I think this is extremely touching. Though I haven’t read any of Tama’s contributions, I am sure she has added greatly to the perfume world that I am beginning to love. I have purchased a bottle and wish Tama the best in her journey. That’s so nice of you, and hope you’ll love the fragrance! What a kind and generous gesture! I did not know Tama’s writing but I am impressed with the outpouring of support for her from the perfume community. People have been very generous, really happy to see how the GiveForward campaign is going.